A postcard from circa 1910. It's an interesting shot this, as it shows how the area in the foreground looked, before they created the Garden of Remembrance (Please see one of the other images listed under PARKS in the Labels column). 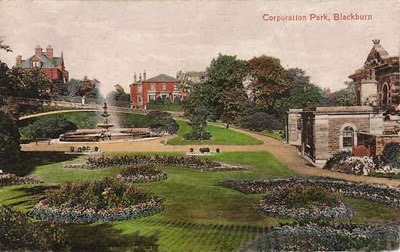 The large houses, beyond the fountain, are at the bottom of East Park Road.